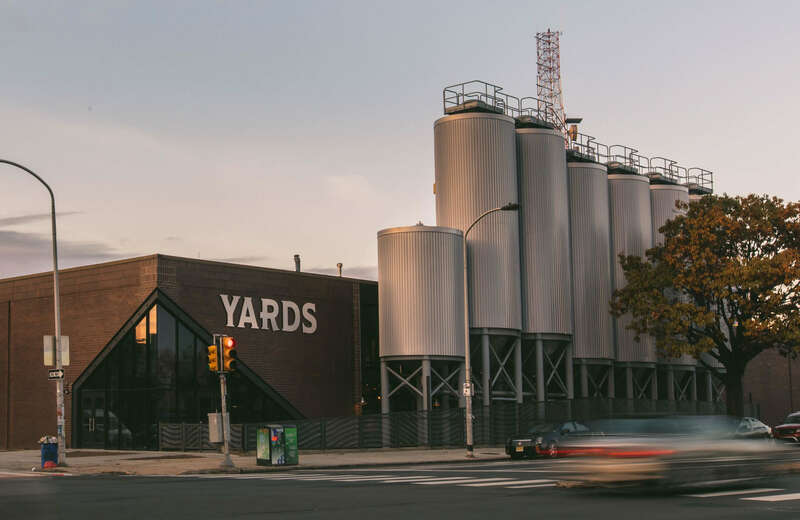 Yards Brewery's taproom offers 20 different beers on tap and a full menu of beer-friendly fare crafted by Chef Jim Burke. Photo by Ben Lackey. Just north of Center City, diverse neighborhoods are home to eclectic bars and restaurants, micro-distilleries and popular live-music venues. Embark on a literary pilgrimage to the Edgar Allan Poe National Historic Site to see the revered writer’s former home as well as exhibits dedicated to Poe and his work. Founded in 1855, the Wagner Free Institute of Science displays more than 100,000 natural history specimens in a historic building. Highlights include founder William Wagner’s personal mineral and fossil collections as well as mounted skeletons, skulls and skins from species around the world. Once the country home of the famed Biddle family, the stately Andalusia Historic Site provides a glimpse into the life of prominent early Philadelphians, with carefully preserved interiors and pristine gardens. Overlooking the Delaware River, the Big House is built in the Greek Revival tradition and was originally designed by Benjamin Latrobe, architect for the U.S. Capitol. Take a beer tour in this area that is fast becoming a destination for the city’s booming craft beer and spirits scene. Tour the new facilities of Yards Brewing Company before sampling the seasonal and signature ales on tap, including its Ales of the Revolution, which pays tribute to founding fathers. Spirits enthusiasts will enjoy a behind-the-scenes look at Philadelphia Distilling, maker of Bluecoat Gin. After, sip inspired cocktails in the hip and modern cocktail lounge. Sugarhouse Casino features 1,891 slot machines, 103 table games, a 28-table poker room and six unique dining options. Find the largest canned beer selection in the city plus Skee-Ball, pool and a rotating selection of guest chefs at Garage Fishtown. Operating with a whole-animal philosophy, Kensington Quarters is a meat-centric restaurant that does most of its butchery in-house and uses ingredients sourced from local farmers. Enjoy modern interpretations of German classics as well as a stellar selection of German and American beers at Frankford Hall, a boisterous indoor-outdoor beer garden. Heritage is a restaurant, urban garden and jazz bar rolled into one. Sample any of their flatbreads, sandwiches and entrees like pan-seared duck breast, while enjoying live music every night of the week. For farm-to-table food and a chic environment, dine at Front Street Café.